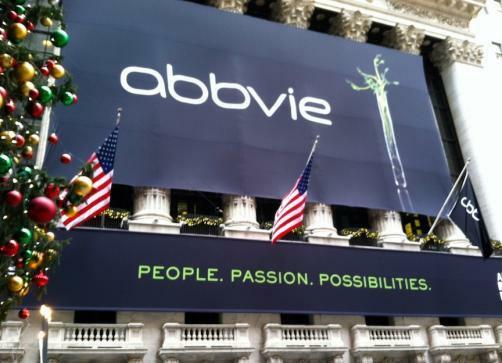 US drug firm AbbVie (NYSE: ABBV) said its early-stage trials for its drug to treat an aggressive form of lung cancer showed some benefits. The company said the trial drug compound rovalpituzumab tesirine or Rova-T showed overall, tumors shrank in 11 out of 60, or 18% of the patients in the study. Rova-T targets a protein called DLL3 normally found inside cells. The drug compound targets the cancer-stem cell-associated delta-like protein 3 (DLL3)6, which is expressed in more than 80% of small cell lung cancer (SCLC) tumors. Mike Severino, chief scientific officer, AbbVie, said: "Due to the aggressive nature of small cell lung cancer, there are limited treatment options available, resulting in a typically poor prognosis for most patients. Rova-T represents a potential new approach to treating this disease by targeting DLL3, a protein that is expressed in the majority of small cell lung cancer patients. We are committed to further developing this compound and look forward to the possibility of delivering it to patients in need of new treatment options." Rova-T pairs an antibody, which detects DLL3, with a powerful chemotherapy that kills the cells the antibody detects. Small cell lung cancer is a difficult-to-treat form of cancer that accounts for roughly 13% to 15% of all lung cancers. The five year survival rate for extensive-stage SCLC remains at less than 5% and there are limited treatment options available for the more than 234,000 people diagnosed with SCLC annually. Treatment options for patients remain limited, with chemotherapy and radiation being the most common forms of first- and second-line treatment. The disease kills 60,000 patients a year. In late April, AbbVie announced the purchase of biotech firm Stemcentrx for $5.8 billion. The acquisition was completed on June 1. The company acquired Stemcentrx’ portfolio of trial drugs focused on cancer stem cells. The idea behind the research says that targeting stem cells may help eradicate malignancies and stop the cancer from returning.